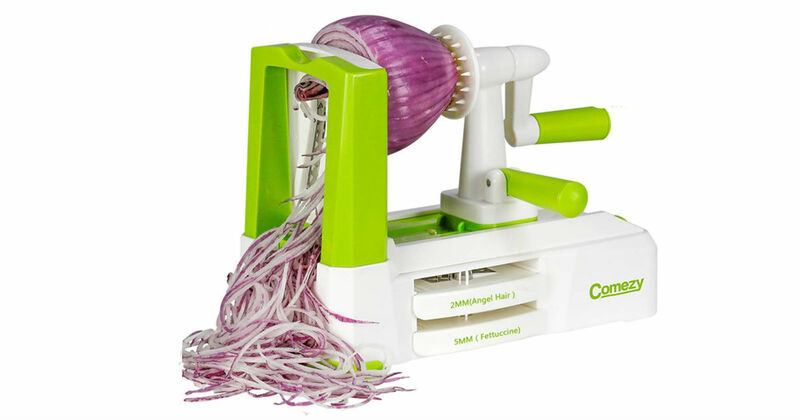 Amazon has this Comezy 7-Blade Spiralizer for only $21.99, regularly $39.99. Spiralize, julienne, slice and more. Make spaghetti and low-carb meals. Great quality and easy to clean. Prime members receive free shipping, otherwise free shipping starts at $25.